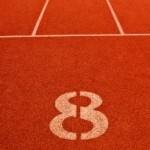 Should a landlord get on the Section 8 track? Technically, the program used by low income families to cover housing expenses is called the Housing Choice Voucher Program but is commonly referred to by the old name of Section 8. Based on income and family size, a family is eligible to receive housing assistance for all of their rent including utilities. If there is some income in the household or the rent exceeds the county limits, only a portion will be covered. Should a landlord open up their property to Section 8 tenants? Below are the pros and cons. First, though, a landlord should know that this is an option. When selecting a tenant it is perfectly fine for a landlord to require that any occupants have the financial resources to cover the rent and decide not to accept any non-occupant co-signers or 3rd party payment programs. (This is the same policy that can come into play with student housing. A landlord can decide they don’t want Mom and Dad on the lease and that the student must have income to support the rent.) The key is to be consistent. A landlord needs to make that decision early in each rent cycle and apply it equally to all applicants. The Section 8 program has many, many positives. 1) The rent is on time every month. It is directly deposited into the landlord’s bank account by the county or city on the same day each month. 2) Because these tenants are low income and not all landlords accept section 8, they don’t have many housing options. They tend to stay a long time thus eliminating the biggest landlord headache – vacancy. 3) They have an incentive to be good tenants. If the lease is terminated due to lease violations or they are evicted, they will very likely lose their subsidy. 4) Increasing the rent is just as easy, if not easier than with a non-section 8 tenant. Often I find that landlords are reluctant to increase the rent on a good paying tenant as it is more important to keep the property occupied than risk vacancy for another $25 or $50 per month. Well, with a Section 8 tenant, if the comparable rentals show an increase is justified, the county usually has no issue increasing the subsidy. 1) If the tenants family situation or income changes, the subsidy gets adjusted. If they lose their job or have hours permanently cut, the subsidy will increase but if they get a raise or find a well paying job the subsidy will decrease and the tenant will need to cover more of the rent. Or if a family member leaves the household (child gets married, takes a job in another city, graduates HS or college and moves out, etc) the subsidy will change. This can make rent collection tougher for the landlord. 2) The house needs to be inspected by the local government prior to the start of each lease and annually after that. The inspectors are looking for health and safety issues. Most of these any landlord would want to address but this can be a hassle some wish to avoid. 3) There may be maintenance issues that a financially independent tenant would deal with but a Section 8 tenant can not afford. Some of those items are the ones that often crop up in the county inspections. Others are lease obligations a section 8 tenant can’t cover – more below. 4) While the security deposit is the same for both Section 8 and non-Section 8 tenants, if there are excessive damages upon move out, one would be hard pressed to get reimbursed from the Section 8 tenant. I do quite a bit of work helping investors buy rental property. I do not do property management (happy to refer you to a few fine companies if that is what you need) but I do list rentals for my clients and have worked with several section 8 tenants over the years. For the most part they have been quite good. Very few have had a 100% subsidy. Most are in the 80% to 90% range. Thus the landlord does need to collect some rent from the tenant. Usually, the guaranteed part covers the mortgage which is of great comfort to my landlords. And collecting the remaining amount is typically not any more of an issue than with non-section 8 folks. Remember, section 8 tenants want to maintain good standing within the program. Late payments put the subsidy at risk. I had a client several years back buy an investment property with a Section 8 tenant in place. She is still there sending him $25 each month and having the county pay the rest. The lack of turnover and thus the lack of turnover expense (paint, new carpet, etc) is a huge benefit in these situations. On the other hand, as mentioned above, the tenant may not be able to handle normal maintenance expenses that are required in the lease. One of my landlords encountered such a situation but fortunately they averted a large expense. This Section 8 tenant somehow got an infestation of bedbugs. The lease clearly states that extermination of insects and other pests is a tenant expense. This women had no money to call an exterminator. Per the lease the landlord was not required to exterminate but the landlord and I saw how this could easily have developed into a landlord expense. Bedbugs, like all pests, don’t respect condo unit walls. If this infestation had spread to other units, I could see the landlord becoming involved. Also, if it was left untreated and the tenant moved out, the landlord would be stuck with the bill with no practical way to recover that expense from the tenant. Fortunately, in this case a social service agency stepped in and helped the tenant get new furniture and eliminate the problem. The same type of issue could surface with clogged drains which are also in the lease as a tenant expense. And once, just once, one of my Section 8 landlords had to terminate a lease. This was a 3 generation family – Grandmom, daughter and granddaughter. The voucher was in the name of Grandmom. At some point during the tenancy the daughter and granddaughter moved out reducing the subsidy. This put Grandmom in a position of no longer being able to afford the place. She needed to leave and relocate to smaller unit where her new subsidy would work. When she left, well, let’s say it didn’t look all that great. But, to me, the key issue for a landlord in renting property is getting paid a fair market rent and keeping the home occupied. 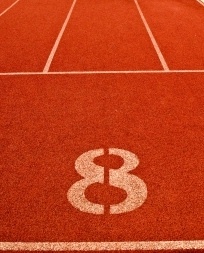 Section 8 tenants offer some of the best odds of accomplishing those two goals. I have personally been willing to accept Section 8 tenants on the rentals I own so I have put my belief into action but for each and every landlord, the decision rests with them. I advise but do not decide. The full article can be read here: NVAR Update Magazine. This will take you to the full magazine and you will need to scroll thru the articles to get to the voucher article. As a former Section 8 landlord, I agree. Section 8 is a great program, but the tenants are extremely high risk. If I was to ever be required to take section 8, I would still keep my credit score criteria and I think all would be well at that point. I just wrote a post why I asked my last Section 8 tenant to leave. Read your post. It appears that you certainly had a few bad experiences with your former section 8 tenants. For whatever reasons, my clients have fared much better. Yes, I could add a few horror stories in addition to the ones mentioned in the blog. But, I could add many from non-section 8 tenants as well. I have found that the voucher is so valuable to these folks that they are motivated to remain on the good side of the landlord. In our market, the waiting list for vouchers is long and some jurisdictions have stopped taking applications because of the size of the wait list. To accept or not accept is a very individual decision and one that needs to be made with the landlord’s long term goals in mind. No right or wrong either way.